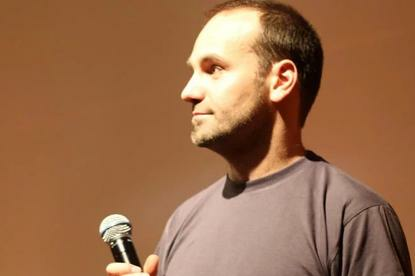 Canonical founder and part-time hobby astronaut Mark Shuttleworth began his Openstack keynote last week by criticising Red Hat for being too expensive. Among the nervous laughter someone at the front yelled "fact check!" - but speaking with Computerworld UK, Shuttleworth insists no one has refuted his numbers. "Good luck to it," he commented when asked about the fact-check-heckler. "Everything I put out there is supported by customers. There have been a number of analyst surveys of cloud economics that put Canonical on top of the list in terms of doing it efficiently. "I put that message out there because I think this community - the engineering side, the community side, the vendor side - has to realise that in a public cloud-oriented world, private data centres can't be steaming piles of nonsense." Directly after the keynote we heard some Ubuntu staff backstage were whooping following the presentation (with one apparently saying that Shuttleworth 'smashed it') and we also heard at least a handful of people refer to the keynote as a trolling attempt. But Shuttleworth seems to be deadly serious. He says that large enterprise data centres tend to be full of "steaming piles of yesterday's decisions" and that Canonical/Ubuntu is well positioned to help businesses get their first Openstack clouds up and running. "They have to be efficient, they have to be automated, they have to be cost effective," he said. When asked whether the presentation was community-spirited, he said that he "believes in open source and I believe in communities". "The Ubuntu community is arguably the biggest and most productive open source community and we do that by not pandering to people, by keeping it real, by having open conversations, and by inviting competing factions to work together despite the fact they're competing. "So I think I understand community. While I have had people express surprise because it's not the sort of keynote anybody has seen here before... I think a lot of those people came around to the view that it is important for them to understand why Openstack exists. "You may be here because you love the technology, but the technology is only going to continue to get investment if it generates a return. It's super helpful for people to understand it." Giving Red Hat right of reply, the company's GM for Openstack Radhesh Balakrishnan said that "different people make up a village, if you will..."
"Our focus and remit is very straightforward. We continue to be very bullish about Openstack, given that we have hundreds of customers in production. The last number we publicly talked about was 500-plus in production for fiscal year 18, in multiple verticles. "And it's not just Openstack. It's the full stack of open solutions that customers are consuming, to get to an open hybrid cloud. "So we are excited about how far we have come in terms of the relationships we have established with these organisations, from being the Linux provider, to becoming cloud advisor for hybrid cloud adoption. We have stars in our eyes and we continue to get excited about our prospects, immediately as well as in the future." Talk about taking it on the chin. Shuttleworth agreed that Red Hat is doing alright for itself. He said that there are only two vendors that he tends to see for building the architecture of a new data centre, and those are VMWare and Red Hat. "You'll find SUSE somewhere," he added. "There are other folks who have versions of Openstack on top of those distributions but it's increasingly clear now that it doesn't make sense to separate something like Openstack from the underlying Linux, because it becomes impossible to know where to go to get an issue resolved. "All the folks who have Openstack on top of somebody else's Linux have failed, effectively. That leaves you with Red Hat and Ubuntu." "VMware is obviously still very prevalent in enterprise data centres... It was the king of virtualisation. But it's also a significant driver of cost in the data centre, cost which I think Openstack is well placed to take out when it's done right." And what does he think of the direction the Foundation is steering the ship? This Summit, the Foundation made a point of talking about Kata, the open container project based on Intel and Hyper tech, as well as Zuul (CI/CD for testing) and Openlab (for getting Openstack up and running in potentially challenging outside environments). The messaging this summit was about delivering a wider 'open infrastructure', with all these projects affiliated to one another but not Openstack per se. "I think the Foundation is being thoughtful about how to attract an audience that has a common set of challenges and interests," Shuttleworth" said. "The open infrastructure theme is coherent. "In the past i have been critical of the inability of the Openstack community to be able to draw a line between the stuff that was really important to build an Openstack, and the stuff that was sci-fi and possibly a bit of a side show. "I think this is different. It is essentially generalising from Openstack to other classes of infrastructure, and that's interesting. I think they could still do a sharper job of being pointed about what's Openstack and what's not Openstack.... We do that, that's one of the reasons we've been successful, because we didn't get drawn into an endless list of shiny possibilities. "We deliver virtual desktop for a fixed price on a predictible timeline, and it works at scale. I think that's what enterprises need and want from Openstack. All the unicorns and fairies are interesting possibilities in the future, but they need to know that Openstack can be delivered in two weeks for a fixed price and our ability to stand up on stage and commit to that is unique." A couple of years ago Shuttleworth suggested that the 'big tent' approach to Openstack (millions of vendors doing various things) would collapse and leave the businesses that were delivering the core. And two years on, he says he feels validated in that. "I think the open infrastructure meme rather than an Openstack meme is interesting," he added. "I think they will need to attract a set of projects which do share some values so the same audience can dip into those different things. They need to be mindful of the cost of complexity. "Complexity has a price attached to it. The person having fun introducing the complexity doesn't necessarily appreciate that. "I spoke forcefully in the keynote about cost because I think everybody should be aware of cost... It's not just a licensing question at the end of the game, it's about how the thing was designed. Was it designed to run efficiently, or was it designed to be interesting from a technical point of view? "Those are things everybody needs to be mindful of, the community, the engineering people, the business people, and the Foundation themselves. He added that he thinks the Foundation has gone through a "tough time" recently but that it has "rallied". "They responded, they deserve a certain amount of support for trying," he said, before comparing the Foundation's early days to a 'hot debutant'. "It's pretty clear that you go through phases of a project where you're the hot debutant and everybody wants to be your friend," he explained. "Then there's a new hot debutant somewhere else: whether it's AI or containers, it doesn't really matter. There's always going to be something newer and shinier. "I think the Foundation now is coming to terms with the fact it's a mature project. "As with everybody, once you get to middle age, dressing like a teenager doesn't work. It's not authentic, it doesn't pull off, it doesn't resonate. "And so I think that drives you to a set of changes in how you program an event and how you articulate a value proposition of your product and so on. That's an adjustment for the Foundation. There's fewer people here than there were two years ago. I think that's good. There's less hot air here, there's less tire kicking here." Of course, he acknowledges that the shiny stuff is also important. But the "truth is the world has to move on". "If Openstack was new and exciting and shiny all the time then something would be wrong. "And I'm excited by the new shiny too. But I am here to build clouds for people who need them and I'm proven at being able to do that."